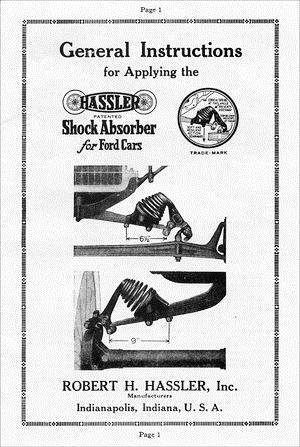 Instructions on mounting and maintaining Hassler shock absorber spring sets. 7 page pamphlet. 8-1/2" x 6-1/2".